BHP Billiton Foundation Science and Engineering Teacher Awards Winner Adele Hudson. You’ve probably got a story about a teacher who inspired you. Those favourite teachers can stay with you forever. They can drive you to become successful in your career or help you to become a better human being. An inspiring teacher can help you love a subject you thought you would never enjoy or overcome obstacles you thought were way too big. Every day teachers are forming the next generation, our future leaders and it is one heck of a job. One of these impressive and inspiring teachers is Adele Hudson. She is one of Australia’s top high school science teachers who actively engages her students and feeds their curiosity through open inquiry projects. And Adele, too, has memories of her own chemistry teacher who inspired her own love of science and of teaching: Mr Babcock. “I always enjoyed his class and felt like it was a place where I could learn and be challenged. I remember talking to him about his research days at university and I asked him why he would want to be a teacher. I couldn’t understand why anyone would want to spend time with teenagers in a high school setting. It is interesting that I ended up studying at the same university as him for my Bachelors, Honours, and PhD, and have now made the same transition to a teaching career,” Adele said. Adele Hudson with Australian Science Teacher Association President Geoff Quinton, BHP Chief Executive Officer Andrew Mackenzie, CSIRO Chief Executive Dr Larry Marshall and BHP Billiton Foundation Director Pat Risner. 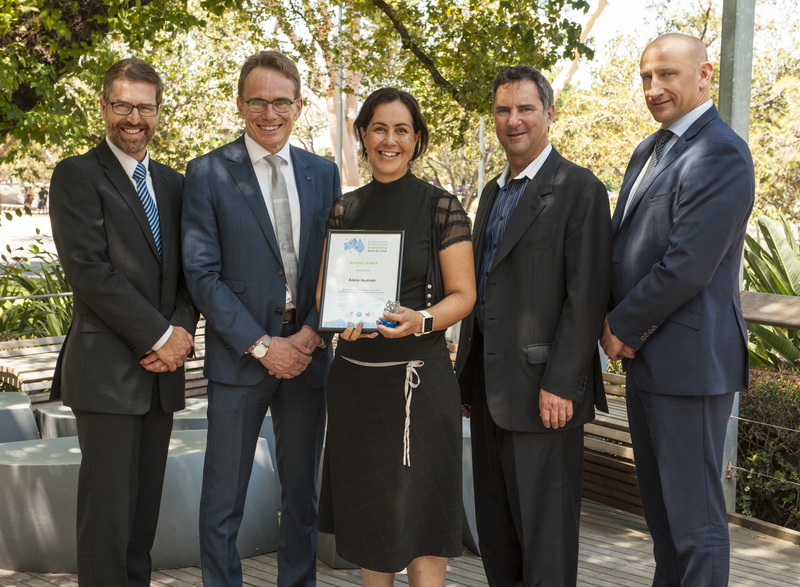 Earlier this year, Adele won the BHP Billiton Foundation Science and Engineering Teacher Award, which recognises teachers who engage students in open-ended investigations and work consistently within their school community and wider professional arenas to make an outstanding contribution to STEM education in Australia. 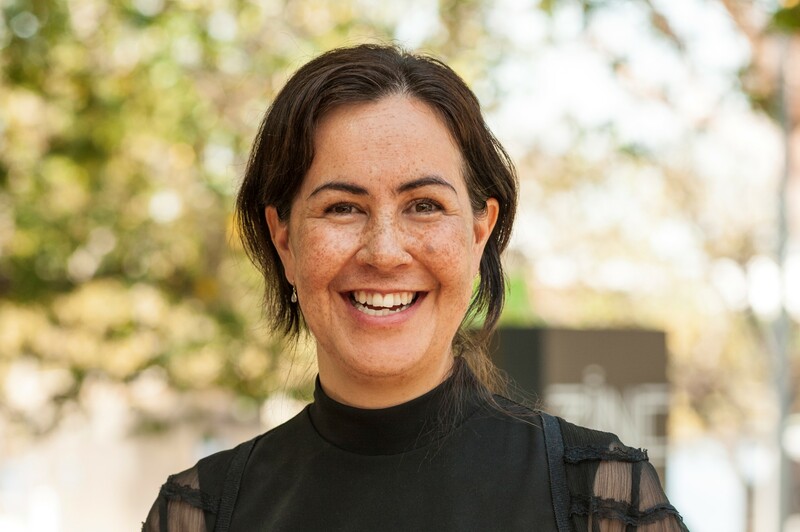 Adele believes that giving students time to explore ideas that interest them through open inquiry is one way to spark interest in science, technology, engineering and maths. “The science curriculum is full to the brim with content and activities, but students can benefit from taking the time investigate things that they are passionate about,” Adele said. 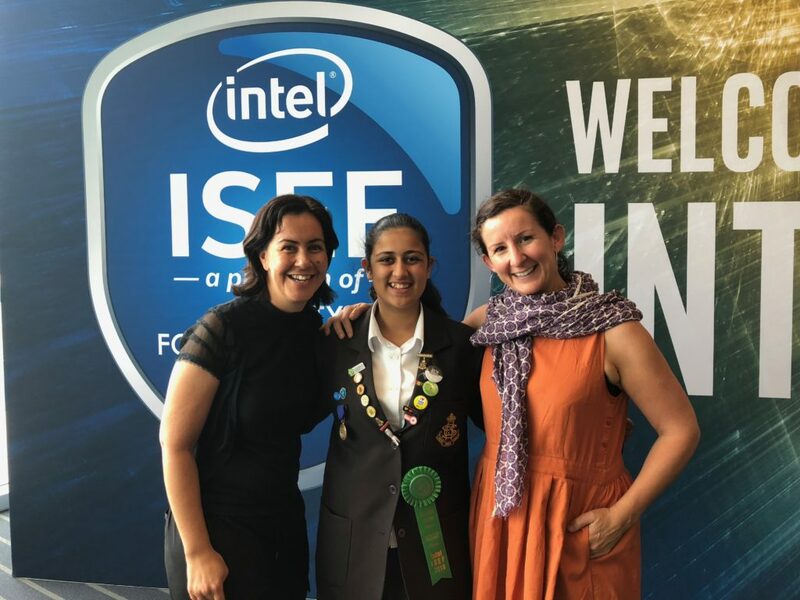 Adele Hudson, Angelina Arora and Jane Wearing-Smith at the Intel International Science and Engineering Fair. Adele is also trying to address the lack of girls and women in STEM within her school and classroom. She sees the lack of female role models in science careers and a fear of being isolated in male-dominated subjects in high school and university can contribute to this trend. To try and get past that, Adele is instilling in young women a belief that they are capable of tackling subjects they perceive as difficult as well as showing that STEM careers require creativity and interpersonal skills as well as mathematical and logic skills. She also has been making senior science subjects accessible to all students by providing greater support during assessment tasks and integrating more project based learning. And while her teenage self couldn’t understand why Mr Babcock would want to teach high school students, Adele is driven by a love of learning and gets the greatest joy out of the journey of watching students become passionate about what they’re learning about. The Honour Roll – who the top teacher in your state? Put your (computational) thinking cap on! I think you should be getting actually Senior women Engineers into the classroom. But struggling in Civil Engineering for nearly 40 years in private consultants while raising children without any child care or parental leave, had to resort to many years contract work but I did not mind as I loved what I did. But now again finding discrimination due to age not gender as in my earlier career & was by passed for promotion by males but I was luck to have a male mentor who supported me & taught me a lot about Civil Engineering until he retired. Many young Engineers are not getting that mentor ship due to many older Engineers/drafters are made redundant for younger University graduates/engineers. It is a shame! Even when I tried to apply to a TAFE institution to help/teach maths or Autocad or other subjects I am good at, the University refused my application just because I did not have the teaching certificate which I would be happy to get, just tells you that refuse to employ older workers.